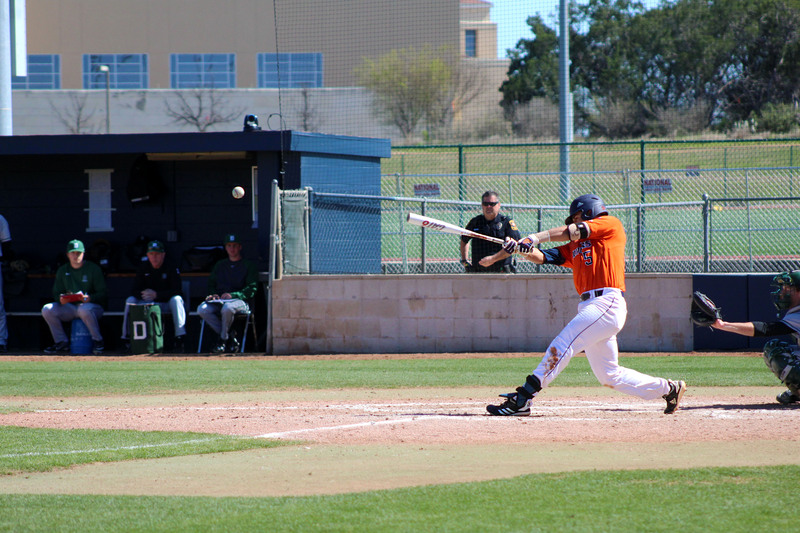 The Roadrunners faced Old Dominion University in a three-game series from Friday, April 12 to 14. The ‘Runners won the game on Friday but lost on Saturday and Sunday. Both teams were scoreless until the fourth inning when Will Morgan hit the ball deep in the outfield and gave the Old Dominion Monarchs a 1-0 lead. The ‘Runners responded quickly with a single by Thornquist, scoring Bryan Sturges and knotting the game 1-1. Karan Patel continued his dominance for 7.2 innings, totaling six strikeouts and five hits. Patel left the game with two men on base and captain Bradley Griggs took the ball in the seventh. Matt Bruch doubled in two runs for the Monarchs, leaving Patel responsible for two runs and ending his day with three total runs allowed. The ‘Runners were down 3-1 going into the bottom half of the eighth inning. The lead was fleeting for the Monarchs as Thornquist hit a two-run home run in the bottom of the eighth inning to tie the game at three. 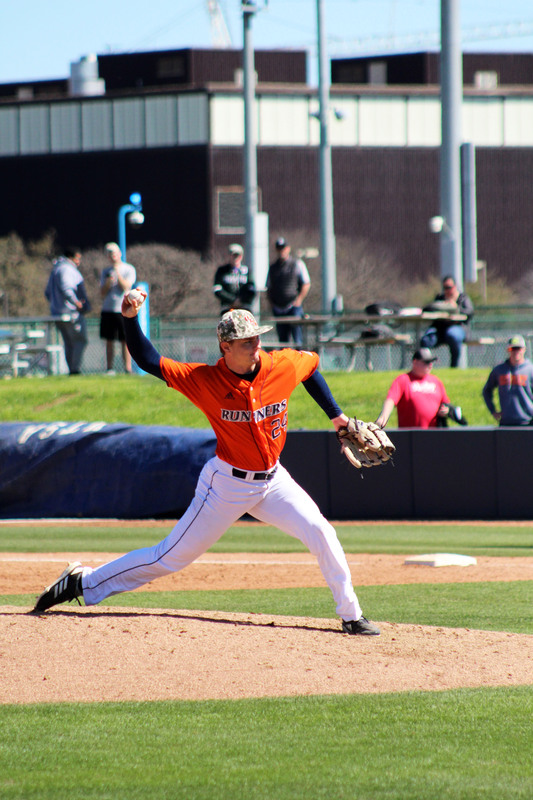 After relief pitcher Hunter Mason shutout the Monarchs offense in the top of the 10th, Sturges came up to the plate and pitched a walk-off double that scored Ryan Stacey and gave the ‘Runners the 4-3 victory in game one. Game one was punctuated by pitching; game two was the complete opposite. Both teams traded haymakers and at the end of seven innings, the score was 10-8 in favor of the Monarchs. They went on and scored at least one run in each of the last innings growing their lead to 13-8. Hunter Grimes began the inning with a two-strike single followed by a Layton Barry flyout to center field. A walk placed two ‘Runners with the top of their lineup coming to the plate. Stacey walked to bring up Brian Arias with the bases loaded. Down to his last strike, Arias singled to right field scoring Barry, Grimes and leaving Stacey on third base cutting the lead down to 13-10. Down to his last strike, Rock doubled in all three runs and the ‘Runners tied the game at 13 after nine innings. Ryan Teschko sent a hot shot down the first base line to put a man in scoring position for the Monarchs. Down to their last out of the inning, Michael Marrale hit a single and brought home Teschko, ending game two at 14-13. A pivotal game three hung in the balance for both teams as each team found themselves outside of the top eight teams in conference play, and would not qualify for Conference USA (C-USA) tournament if the season ended today. Griggs, who has been used as a reliever the entire year, got the start in the most important game of the series. Scoring began in the fourth inning with Teschko earning an RBI by a sacrifice ground ball. Griggs did not record an out in the sixth inning. The Monarchs took advantage and scored two inherited runners from Griggs and tied the game at three going into the bottom of the sixth. After another ‘Runner run in the home half of the sixth, the Monarchs offense began to take advantage of a weak ‘Runner bullpen. A throwing error from third basemen Griffin Paxton allowed a Monarch runner to score and tie the game at four, and later in the seventh inning, Morgan smashed a double into center field scoring three runs for the Monarchs, allowing them to take a 7-4 lead. Heading into the ninth inning, the ‘Runners were down 7-6 after two RBI in the bottom half of the seventh inning. The Monarch offense could not be held in check as the Monarchs scored three runs to give them the assurance they needed to take game three and claim a series win. The ‘Runners fell 21-15 and 6-9 in conference play. 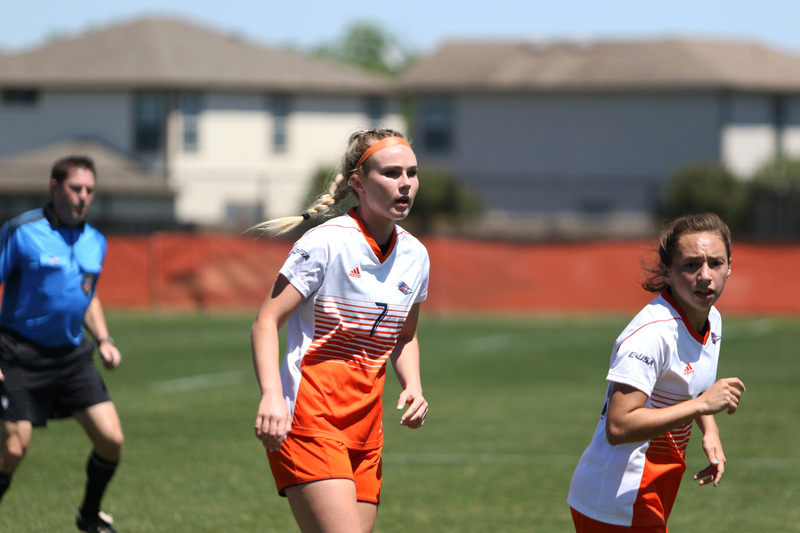 The ’Runners will look to bounce back on Tuesday, April 16, at Texas A&M-Corpus Christi.